Morgan, a native Gainesville resident and Gainesville High School alumni, graduated with a Marketing Degree from Texas A&M University in May, after which she returned home to live and work in the community that she loves to serve and promote. 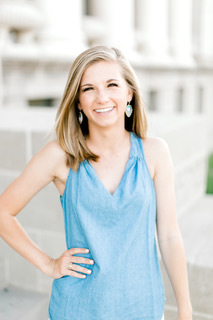 Morgan has a strong history with the Gainesville Area Chamber of Commerce, where she interned for 2 years and helped with planning community events, corresponding with Chamber members and local businesses daily. Kathleen and her husband Jack, recently relocated to Texas from California. As the saying goes, “We weren’t born in Texas, but we got here as fast as we could”. Kathleen comes to us with a long office/ administrative background, managing a prestigious dental office for over 20 years. She loves spending time with her family (especially the grandchildren! ), crafting, reading and doting on the 4 horses, 2 Nigerian Pygmy goats, 2 cats, 1 dog, 8 chickens and 1 noisy rooster who reside on “the farm”. Kathleen is excited to join us and looks forward to learning more about the City of Gainesville and the people who reside in this charming city.